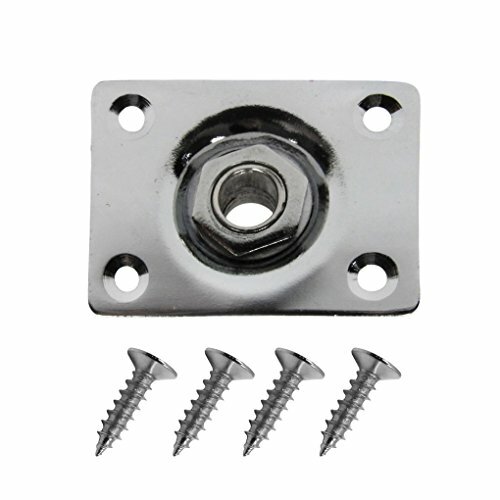 Mainly for guitar bass jack plate replacemen,replace your worn out parts. Standard square plate which is used commonly. 1/4" (6.35mm) mono jack socket. Screw Hole Center to Center:approx.1.02 * 0.79in/25.8 * 20mm. Standard square plate which is used commonly.1/4" (6.35mm) mono jack socket. Screw Hole Center to Center:approx.1.02 * 0.79in;Plate Size:approx.Length 1.34in/34mm,Width 1.10in . If you have any questions about this product by FLEOR, contact us by completing and submitting the form below. If you are looking for a specif part number, please include it with your message.